SPM are one of the largest window cleaning & maintenance company’s in Scotland. Our level of service is unmatched, in Quality Control, Health & Safety, and Competitiveness. Our customers are diverse. They range from multiple-site contracts to hotels, local government, hospitals and retail units. We can service any size building anywhere throughout Scotland and Northern England. We work for both public and private sector clients in Scotland and Northern England. The SPM team have the knowledge and experience to deliver an excellent service. SPM offer a professional service to the retail, commercial and public sectors. Whether contracted directly or working with our national partners for national window cleaning contracts. SPM are your experienced national window cleaning contractors. We have a range of professional window cleaning systems at our disposal. Including self-propelled booms and the water-fed pole system. SPM puts security and safety first. We provide all applicable forms of insurance cover. This includes both liability and property damage. Our employees are screened for your protection. They dress professionally and always carry company identification. We have an outstanding reputation for quality and reliability. Having carried out a large number of national window cleaning contracts up and down the country. Our clients include Support Service Groups and Property Management Firms. Also, FM Companies, Councils and Housing Associations. Here at SPM, we can cater for any size of window cleaning contract. Nothing is too big or too small for us to complete. We’re based in Scotland’s capital city Edinburgh. As well as having a heavy presence in Glasgow too. We can service any location in Scotland and Northern England. Whether you’re a private or public sector client, we have services tailored to your needs. We have built up a reputation for delivering a first class national window cleaning service to our clients. At SPM we work hard to ensure the safety of our window cleaning operatives, as well as the safety of our clients. We employ the most modern, effective window cleaning techniques. Our window cleaners are fully trained and experienced in these methods. They’re also trained in product usage and the proper safety procedures. Our staff are geared up for any type of window cleaning project. Our window cleaners all carry company identification for your protection. They are also fully insured against damages. We work strictly to national window cleaning regulations and guidelines. We will always clean your windows to the highest industry standard. 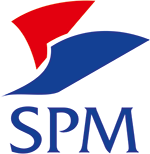 You can be assured of a high quality service from SPM every time you hire us. At SPM we regularly utilise quality control programs. Ensuring the highest standard throughout all of our window cleaning work. These include onsite inspections and customer surveys. The delivery of a high-quality service on every job is of the utmost importance to us. We aim to keep up with the best environmental practices. Working to minimise pollution and waste wherever possible. We systematically review our operations from an environmental perspective. Continually improving our window cleaning services month on month.